It curious that in a wide variety of articles that reflect certain aspects of the unfolding geopolitical game, certain words have become so commonplace, that they can now be regarded as a sort of political memes. Among such memes, for example, one can find the word “Taiwan”, which denotes an island area of some 22 thousand square miles that serves home to 23 million people, located some 120 miles off the coast of China. Taiwan, along with Ryukyu Archipelago (owned by Japan), the Philippine and Indonesian archipelagos forms the so-called “First Island Line”. As the statehood of almost all the links of the “First Island Line” is clear, the central and most strategically important of these links – Taiwan is not so obvious. It should be noted that for most Taiwanese themselves this issue is crystal clear: we, the inhabitants of the island, (a) represent a separate people from the Chinese and (b) the island we inhabit serves as the base of an independent state, which should be regarded as the same subject of international law as all other states. But China categorically disagrees with both of the above listed notions. It doesn’t want to regard Taiwan as “just a neighbor”, and since Beijing gradually becomes one of the most influential geopolitical players in the world, Taiwan may soon be exploited by various powers to pull strings on China in the global political game. The position occupied by Beijing in this matte remains unchanged and unhindered – the population of Taiwan is composed of the same Chinese people that due to a number of historical reasons went astray and started their mutiny. Sooner or later, Being argues, they are bound to return to the womb of the Motherland. The hidden or explicit attempts of Taipei to ignore the concept of “One China” immediately triggers loud objections in Beijing. In recent months, the activization of Taiwan’s new president Tsai Ing-wen, who heads the Democratic Progressive Party that seems more or less determined to pursue state’s full statehood, has been carefully observed by both regional and international players. The most vivid demonstration of such intentions was the tour of Tsai Ing-wen around the Central America, when she visited Nicaragua, Gondrakras, Ecuador and El Salvador with a preliminary visit she paid to the US, which took place last January. It’s noteworthy that Central America and the Caribbean region are home to the majority of the twenty states continue maintaining diplomatic relations with Taiwan. Perhaps the most notable and symbolic event during the tour was the presence of Tsai Ing-wen at the inauguration of Daniel Ortega, the newly elected president of Nicaragua. On January 11, simultaneously with the tour that Tsai Ing-wen was taking, President of Nigeria Muhammad Bukhari, received China’s Foreign Minister Wang Yi to declare his intention to further develop all-round ties with Beijing, as well as to deprive Taiwan’s trade mission in Abuja of the diplomatic status it enjoyed. An important event was the passage on January 11 of a group of Chinese military ships headed by the aircraft carrier Liaoning through the Taiwan Strait, heading to the port of Qingdao. 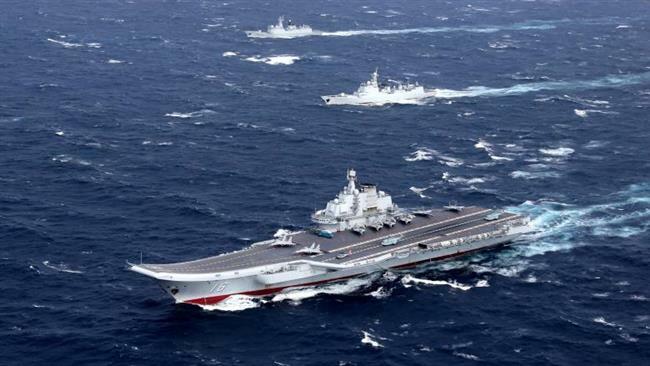 The Ministry of National Defense of Taiwan announced that they were observing the passage “from the sea and air” and did not find any trace of hostile behavior. Nevertheless, at the political level, this passage was qualified as a military demonstration and “saber-rattling”. In this regard, the same Ministry of National Defense of Taiwan announced the need to increase the military capabilities of the island. In particular, it declared the speeding of its program of developing anti-ship missiles and upgrading the fleet of submarines. It should be noted that Taiwan has an advanced industrial potential that allows designing and producing even the most advanced weapons. As for the official position on the Taiwan issue today that the main geopolitical opponent of China – the US has, it remains within the framework of a number of bilateral agreements concluded during the Cold War. Back then, Beijing’s involvement as a (quasi) ally was of critical importance for the US in the fight against its main enemy, which was the USSR. To solve this problem in the 70s of the last century, Washington gradually withdrew the support it provided to Taiwan and established ties with China. In 1979, this process culminated in the establishment of official diplomatic relations between Washington and Beijing. However, Washington did not completely “abandon” one of its most faithful Asian allies, and in the same 1979 the US Congress passed a special legislative act (Taiwan Relations Act, TRA 1979), whose main provisions was the prevention of Beijing’s ephemeral plans for a “military” solution to the Taiwan problem. Today in the United States it’s often noted that Washington would by no means conclude deals with Beijing in the 70s if it knew in advance what would happen in the next 10-15 years. The current actualization of the theme of Taiwan is essentially conditioned by the completion of the 20-year process of China gradual becoming the main geopolitical problem of Washington. So in this situation the Taiwan card has not simply restored its importance, but also acquires unprecedented weight. 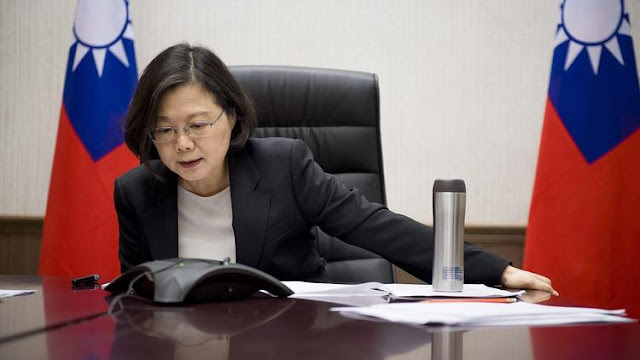 Actually, it is already being played, which, in particular, is evidenced by the sensational phone conversation between Donald Trump and Tsai Ing-wen. The discussion was initiated by the latter under the pretext of expressing congratulations to the winner in the US presidential race, thus showing her appreciation to the head of the country that some 40 years ago was in a state of de facto military-political alliance with Taiwan. The approval of Tsai Ing-wen visit to Houston to hold a conversation with the US Senator Ted Cruz (participant in the recent presidential race) is undoubtedly the next move in the new American game against China. It should be noted, however, that as early as the summer of 2015, Tsai Ing-wen had the opportunity to visit the US and talk with various American politicians in preparation for the upcoming presidential election in Taiwan, when no one doubted her victory. At the end of the same year, the Obama adopted a decision to sell 1.8 billion dollars worth of arms to Taiwan. That is, the actualization of the Taiwan card is by no means connected with the identity of the new American president and began a year before he came to power. The further development of the situation around Taiwan will depend on the transformation of US-China relations. And here, as we said earlier, nothing is predetermined in advance and a number of “options” still remains viable.